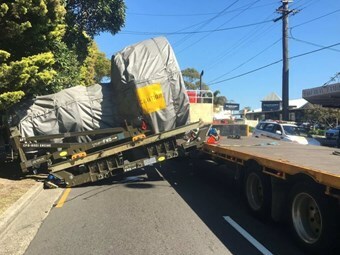 A recent spike in damages caused from inappropriate load restraint has been highlighted by heavy vehicle insurer NTI. NTI chief executive Tony Clark points out that accidents and damage caused by poor load restraint are costly for operators despite being largely preventable. "The increase we saw over the last quarter has been out of the ordinary. We need to look at why," Clark says. "The National Transport Commission’s recent review and publication of the Load Restraint Guide couldn’t have come at a better time. "It will provide us with a measure for reviewing claims data, moving forward. "Here’s hoping we see an improvement across the industry. "It’s a genuine safety concern. Poorly restrained loads become dangerous projectiles." National Transport Comission (NTC) chief executive Paul Retter reminds industry that the aim of the Load Restraint Guide is to ensure freight arrives undamaged. "It’s encouraging to hear that the Load Restraint Guide is providing a genuine benefit to industry and the community at large," Retter said. "Its aim is to ensure the safety of all road users remains paramount, whilst also helping to get goods from point-to-point, undamaged and on time." The insurer is urging operators to familiarise themselves with the National Transport Comission's (NTC) 2018 Load Restraint Guide. OPINION: When is it a ‘restraint’?